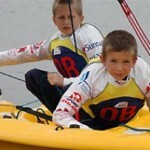 How can I be sure that my child and I are safe at Felpham Sailing Club? Felpham Sailing Club is an RYA Recognised Training Centre offering courses in Dinghy Sailing and Powerboating. Courses are offered to members from age 10 upwards. There is no upper age limit. Courses are also open to non-members if there are spaces available. Being a dinghy sailing club operating in a challenging environment we have limited facilities for the less able bodied, however we can offer sailing experiences for those who would like to try sailing but are unsure if they have the capacity to take part. Besides Dinghy Sailing and Powerboat courses we also offer Instructor courses, RYA First Aid and RYA Club Race Officer when required. The 2017 training programme can be found here. We have a two 40HP RHIBs and a 15HP displacement boat for Power courses. Specific courses are usually one or two days in duration and are charged to cover course costs and provide a reasonable return to the Club. If the required standard is achieved a certificate will be awarded certifying the achievement. These courses are listed in the training programme and cover Youth Sailing, Adult Sailing, Start Racing, Spinnakers, Seamanship, Powerboat, First Aid, Instructor etc. Skills Development starts once basic skills have been acquired. Having mastered rigging, launch, recovery, and sailing round a triangle, the next step is to sail regularly and acquire new skills. Skills Development focuses on developing confidence, acquiring new skills and increasing competence both in dinghy handling and racing. This can be done through another weekend course but can also be done on Thursday evenings (with Women on Water), during Friday Youth Night, or on Skill Saturday sessions. At these times Instructors are usually available to provide specific skills coaching and may be able to sign off discrete items in logbooks, for this there is no charge, however there may be a dinghy hire charge applicable. This method of Skills Development may appeal to those with limited time at weekends or limited funds to pay for another course. Ad hoc training and “on the job” training is also provided for those participating in team duties. This covers aspects of race management, beach management, radios and safety boat management. 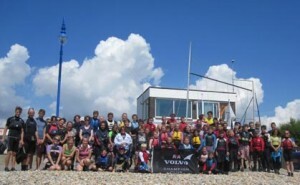 OnBoard – Felpham SC is recognised by the RYA as an OnBoard Club. OnBoard is the RYA’s programme to introduce sailing and windsurfing as a sport for young people aged 8-18. 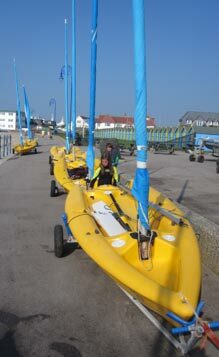 OB gets you out on the water, teaches you new skills and lets you have great fun too! We offer Youth taster dinghy sailing sessions for £5 so that you can decide if sailing is for you. Felpham Youth Regatta is an annual celebration of Youth sailing and racing, taking place on a low tide week in the summer holidays. Family participation is encouraged as many volunteers are needed to supervise around 60 young sailors and provide hot lunches for all. This event is a lot of fun and a lot of training is covered during the Regatta from Start Sailing, to Seamanship, Spinnakers and Race Coaching. We often award in excess of 100 RYA certificates. Racing for the Cadet Cup is highly competitive in both Silver and Gold Fleets usually in an eight race series. Summer School is an opportunity for smaller groups of children and families to participate in sailing and power courses. Members’ children may be left at Summer School with the Senior Instructor acting “in loco parentis”. Places are limited in number, and age restrictions apply. Summer School places can be reserved for a particular course, or for multiple courses in multiple weeks. 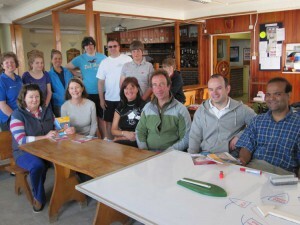 The full range of sailing and power courses are available. Try a range of dinghies with us before you make a decision to buy your own. The Felpham SC Training fleet includes Toppers, Picos, RS Fevas, a Cadet, Lasers (4.7, Radial & Full rigs), a Laser 2000 and a Wanderer. This excellent range provides something for everyone and covers all of the course syllabi up to Spinnakers and the lower end of High Performance. Club Dinghies may be hired at any time that the Club is open subject to agreement with the Senior Instructor or the Officer of the Day. On some days/evenings the dinghies may be heavily oversubscribed, they may be committed to a specific activity, or there may be a club event that precludes use of club dinghies. The charges for use of Club Dinghies are listed here. Learn how to race a dinghy with us! We have two day Start to Race course that will teach the basics and then race skills can be practised and honed on Thursdays, Fridays and Saturdays so that you can join in Club Racing on Wednesdays and Sundays. 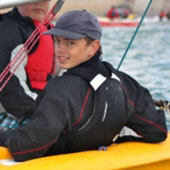 Race coaching is part of our portfolio, with training days on offer for both specific dinghy classes and aspects of race technique, for example spinnaker handling or mark rounding. 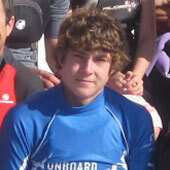 As a British Youth Sailing Recognised Club we are committed to developing our Youth Racers. 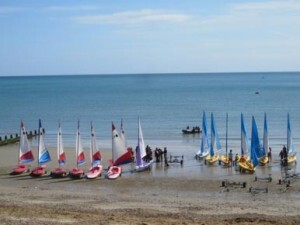 Over many years the Club has participated in and won the West Sussex Schools & Youth Sailing Association Annual Regatta. On a regular basis we have had young sailors participating in the RYA Regional Development Squads and also National Squads. We regularly host Open Meetings and National Regattas for a range of dinghy classes. Our Instructor Pathway enables keen sailors become enthusiastic instructors qualified to RYA standards. We support a development pathway for individuals to grow from Assistant Instructor to Senior Instructor. On an annual basis we hold Dinghy Assistant Instructor and Dinghy Instructor courses. Powerboat Instructor and Senior Instructor courses are set up as needed. We offer financial support to those wishing to become instructors on the basis that they will return the investment back into the club by providing teaching to club members. There is no lower age limit for becoming a Dinghy Assistant Instructor – confidence and competence in dinghy sailing at Felpham is the starting point, along with a desire to share that skill with others. The Club Race Coach Qualification is also available. 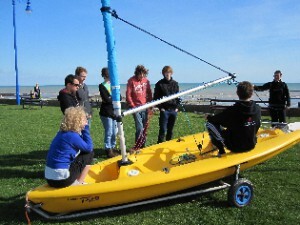 The Training team are all trained to RYA standards to take their role as Instructors and teach at Felpham SC. 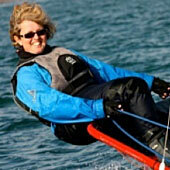 At Felpham SC we have over 40 qualified Instructors. 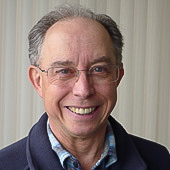 Sometimes we hire in external instructors for specific courses eg First Aid, Class Coaching. Sailing on the sea can be hazardous, and accidents do happen. We perform Risk Assessments and employ mitigation strategies to minimise exposure to hazardous situations. Whenever there is Training, a Senior Instructor is responsible for the activity and ensures that it is Safe and Fun. Sometimes the Senior Instructor will make a decision that an individual feels limits their enjoyment; the Senior Instructor’s decision is final – they have the responsibility to assure safety. Participants are required to sign in at the start of training, declaring relevant health conditions and providing home contacts. Participants are expected to sign out at the end of training. Young Sailors are expected to be collected, unless other arrangements have been agreed. Young Sailors unfamiliar with the sea must be accompanied by a Parent who can look after their child on the shore should the child become cold, seasick, frightened etc. Young Sailors are trained and encouraged to develop their own judgements about reefing, launching, sailing, racing and recovery. Their decisions may be questioned and overridden by the Senior Instructor (or the Officer of the Day) in the interests of their own safety. Young Sailors must remain within the boundaries (both on the sea and on shore) defined by the Senior Instructor. No Young Sailor may go outside those defined boundaries without permission from the Senior Instructor. The Training Team’s desire is to ensure that our activities are Safe and Fun. If a Participant, Young Sailor or Parent feels that the activity falls short of this goal, then the first recourse is to the Senior Instructor in charge of the activity. The Training Principal may be contacted if the complaint is not addressed satisfactorily. The Felpham SC Safeguarding Policy and Procedures are here (PDF). Felpham SC is an RYA Recognised Training Centre (RTC). Annual inspection by the RYA assures that the RTC performs in accordance with the declared Operating Procedures in accordance with the requirements set down by the RYA. In 2016 Felpham SC is applying to be approved as part of the Adventure Activity Licensing Scheme. 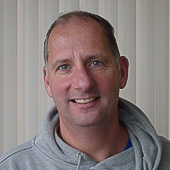 The Training Centre is managed by the Principal who leads a team of over 40 Instructors. Reporting directly to the Principal is the Chief Instructor Sailing and the Chief Instructor Power. These two roles oversee the delivery of training and ensure that the required standards are maintained. The Principal reports to the Commodore and works with the Committee and the Bosun to ensure that the Club infrastructure, Powerboats and Club owned dinghies are ready for use. Prices for courses: the pricing for 2016 is under review. We aim to keep our costs down and course prices low to encourage participation across the age range from young sailor to senior citizen and enable families to take part at reasonable cost. From time to time Bursaries and Grants are available through the RYA, Active Sussex , WSSYSA and other agencies particularly for Instructor and Race Coach training. If you wish to find out more information contact the Principal.